Harry Redknapp believes managers are now "treading on eggshells" in the modern game and are unable to criticise their players in the same manner as their predecessors. 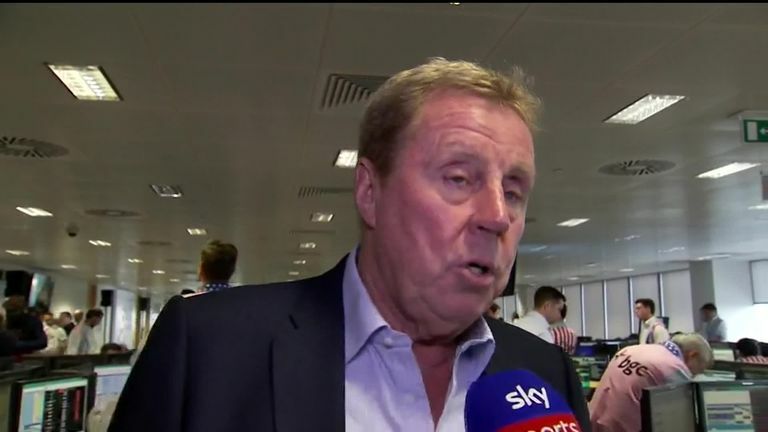 Redknapp's comments come following reports that Republic of Ireland assistant coach Roy Keane was involved in a foul-mouthed altercation with Harry Arter and Jon Walters in May. An audio clip purporting to be Ireland international Stephen Ward surfaced online discussing details of the row between Keane and the two players. When asked if the relationship between coaches and players had changed in recent years, former West Ham, Portsmouth and Tottenham boss Redknapp said: "You've got to tread a bit more carefully that you used to. "It is a very different game now to manage the modern player. You can't be steaming into them every day because they don't have it anymore. "Years ago, we used to sit there and take it, the manager used to shout and scream at you. Nowadays it is not done anymore. "You can't manage like that. I don't know what has gone on there but it is very different now." Redknapp, whose 34-year career in management saw him take charge of teams in over 1,300 games in the English leagues, believes players hold more power in modern football, due to the increase in agents involved in the game. The 71-year-old said: "[They're] very, very sensitive. They've all got agents now. "They ring the agents, who ring the chairman if you upset them. So you're treading on eggshells every day really."